Stephanie is interested in psychological and social barriers that impede adults from engaging in physical activity and how these influence age-related declines. 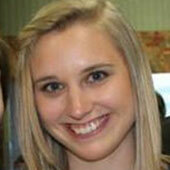 Her dissertation examined how perceived control can be modified to promote activity in middle-aged and older adults. She hopes that by developing such interventions she can continue to explore the relationships between physical activity, perceived control, and cognition. Before coming to Brandeis, she graduated from Elon University with a BA in Psychology where she explored strategies to improve episodic memory. She then graduated with honors from the Catholic University of America with an MA in General Psychology. Stephanie is currently a postdoctoral fellow at the Center for Healthcare Organization and Implementation Research (CHOIR) at the Bedford VA Medical Center. 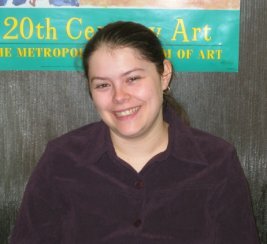 Molly graduated from Bates College with a BA in psychology, focusing in cognition, and a minor in music. Before becoming the lab manager for the Lifespan Developmental Psychology Lab at Brandeis University, she worked as a special education teaching assistant for West Hartford Public Schools. 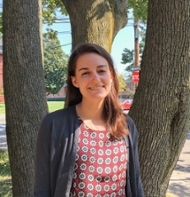 She is currently pursuing her MA/EdS in School Psychology at Tufts University and working as a graduate research assistant at the Tufts Center for the Enhancement of Learning and Teaching (CELT). Matt received his PhD in Cognitive Psychology in 2014 from Texas A&M University under the direction of Dr. Lisa Geraci. While at A&M, he completed his doctoral dissertation entitled "The Influence of Self-Perceptions of Aging on Older Adults' Cognition and Behavior." Matt is interested in subjective age, or how old one feels in comparison to his actual age. He is currently a postdoctoral researcher at UNC Greensboro, examining how social comparisons and stereotype threat influence subjective age, and how subjective age affects behavior and cognitive processes. Dikla graduated the PhD program at the Faculty of Industrial Engineering and Management at the Technion — Israel Institute of Technology. Her main research interests are retirement and well-being, and the relationship between retirement and physical, emotional and cognitive health. Her current projects focus on the associations between occupational and non-occupational activities and cognitive changes in retirement. She now works in the Gerontology Department at the University of Haifa in Israel. Nick's research interests involve the concept of mindfulness. In his work, he explores the effects of mindfulness practice on intrusive thoughts, stress, sleep quality, and memory. However, his interests regarding mindfulness are quite broad. Nick graduated from UMass Amherst with a BA in psychology and earned an MS in clinical psychology from Springfield College. 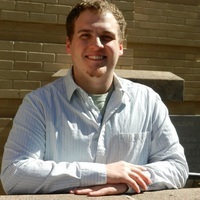 Prior to coming to Brandeis, Nick was engaged in clinical work in Northampton, Massachusetts. 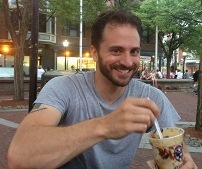 Nick currently works as a psychiatric clinician in the psychiatric emergency department at Boston Medical Center. Salom is interested in decision-making and well-being across the lifespan, specifically strategies and methods older adults use to make life decisions. Her dissertation work examined within-person changes in reports of selection, optimization and compensation strategies across the lifespan, and how usage of these strategies relates to emotional memory and well-being within a healthcare decision making context. 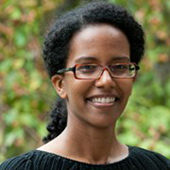 Starting Fall 2017, Salom will be a postdoctoral fellow in the University of Washington Advanced Training Fellowship in Rehabilitation Policy Research. Julie's interests include exploring the effects of trait mindfulness and mindfulness-based treatments on age-related issues including stress, memory and overall physical and subjective aging. 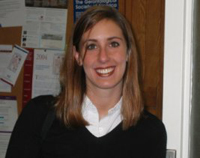 Before Brandeis, Julie worked with Dr. Ellen Langer at Harvard University studying the effects of mindfulness on weight change in college women. Julie is interested in continuing her research on the mind-body relationship as it relates to the physical and cognitive progression toward older adulthood. 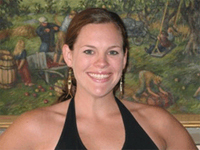 Julianna is currently the lead 2nd grade teacher at Our Lady of Malibu School. Dr. Cotter is primarily interested in health promotion, including psychosocial influences on health and health behaviors, as well as the physical and mental health outcomes of leading a healthy lifestyle. In addition, she is interested in how social relationships (both positive and negative) and personality can affect health behavior adoption and maintenance. She is currently studying the naturalistic adoption and maintenance of exercise and physical activity behavior across the lifespan. Currently, she is collecting data from undergraduates examining predictors of physical activity behavior using the Transtheoretical Model. Dr. Cotter is also beginning a project examining the daily physical activity and stress of older adults. In addition to these projects, she is currently collaborating on a project examining predictors of depression disclosure to doctors using the Theory of Planned Behavior. 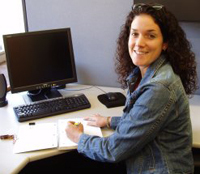 Lise worked on managing data for one of the Lifespan Lab's NIH-funded grants. She is currently a front-end web developer and writer. Chandra Murphy is a graduate of Boston University where she studied mathematics with a specialization in statistics and psychology, and a recent graduate of Brandeis University with an MA in psychology. Dr. Neupert is an Associate Professor of Psychology at NC State. She earned her PhD in Family Studies and Human Development with a minor in Statistics from the University of Arizona in 2003 and completed her postdoctoral training at Brandeis University in 2005. Her research interests include contextual and individual differences surrounding stressors and well-being outcomes (e.g., physical health, cognition, affect). In particular, she is interested in the psychosocial and sociodemographic characteristics of individuals along with changing contextual factors which may be related to emotional, physical, and cognitive reactivity (or responses) to stressors. 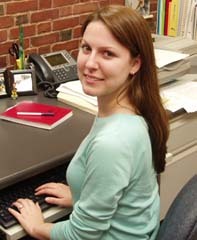 She conducts daily diary designs to examine short-term variability and individual differences in within-person processes. She is a Fellow of the Gerontological Society of America and currently serves as an Associate Editor for the Journal of Gerontology: Psychological Sciences. CeCelia is interested in interventions to improve cognitive functioning. In particular, she is interested in how physical activity may enhance cognition. Currently, she is investigating the influence of physical activity on stress, as this relationship may be a mediator to the connection between physical activity and cognition. 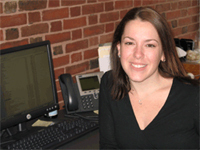 CeCelia currently works as a Gerontology Research Assistant at Boston Medical Center. 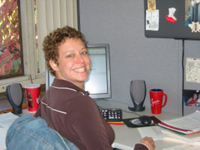 Dr. Pearman is currently a Research Scientist II in the School of Psychology at Georgia Institute of Technology. 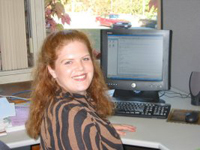 She conducts research on memory complaints and subjective cognition in older adults. Dr. Pearman is also a licensed clinical psychologist in the state of Georgia. Her specialty is working with older adults, including memory and dementia assessments, therapy, and consultation with senior organizations. Michael's interests include anxiety, personality, and the physiological markers of stress and arousal. He graduated from SUNY Fredonia with a bachelor's degree in Psychology, where he and a colleague conducted a study on how shyness could play a role in proximity decisions and memory formation when approaching a stranger. 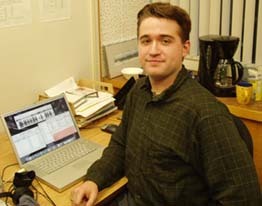 At Brandeis, his research has examined personality differences in physiological reactivity across the adult lifespan. Currently, he is a lecturer at Brandeis University. Dr. Christina Röcke received her predoctoral training at the Center for Lifespan Psychology of the Max Planck Institute for Human Development in Berlin, Germany, under the mentorship of Profs. Jacqui Smith, Paul B. Baltes and Ulman Lindenberger. She was a Fellow of the International Max Planck Research School "The Life Course: Evolutionary and Ontogenetic Dynamics" (LIFE) and received her Ph.D. in 2006. In the broadest sense, Dr. Röcke's main research interests concern the lifespan development of well-being, personality and cognition. Specifically, she is interested in the relationship between age and emotional functioning, intraindividual variability (short-term fluctuations) as a tool to study lifespan development, and theoretical distinctions between the young-old (i.e. Third Age) and the oldest-old (i.e., Fourth Age). 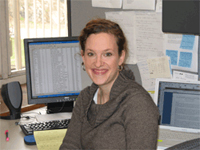 In her dissertation, Dr. Röcke examined age-related and individual differences in intraindividual variability of positive and negative affects across 45 days, trait-like and state-like correlates of variability in these two well-being factors, as well as the within-person coupling of affective states with daily cognitive performance. Current and future work focuses on (a) methodological issues regarding the meaning and measurement of momentary versus trait-like well-being, (b) the functional meaning of high-versus low-levels of variability in well-being for overall psychological adaptation, (c) different conceptions of control and their relationship to well-being as well as (d) a person-centered approach to subjective change trajectories of life satisfaction. She currently works as the Research Group Leader & Deputy Director of the University of Zurich Research Priority Program (URPP) Dynamics of Healthy Aging. Christopher B. Rosnick received his PhD in Aging Studies and his MPH in Biostatistics from the University of South Florida. He completed a postdoctoral research fellowship in the Lifespan Developmental Psychology Laboratory at Brandeis University. He is currently an Assistant Professor and teaches classes in the psychology of aging, research design and statistics. He also teaches the senior capstone course. Dr. Rosnick is interested in how contextual factors influence cognitive functioning with a special interest in possible mechanisms (e.g., intrusive thinking and biological markers) of cognitive impairment. He is currently utilizing the Midlife in the United States longitudinal dataset to examine the longitudinal effects of experiencing life stressors on cognitive performance across the adult lifespan. Dr. Rosnick is a frequent presenter at the annual meeting of the Gerontological Society of America and other conferences and has published numerous articles in gerontology and other journals. He received the Laurence G. Branch Doctoral Student Research Award at the 133rd American Public Health Association conference and an Honorable Mention for the James G. Zimmer New Investigator Research Award at the 134th Annual American Public Health Association conference. 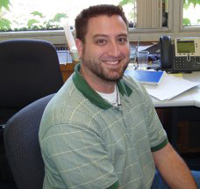 At SIUE, Dr. Rosnick serves as director of the Department of Psychology's DATA Consultants. 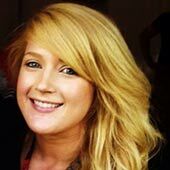 Stacey's research interests focus on exercise across the lifespan, as well as the relationship with cognitive functioning in old age. Her past work investigated ways to motivate sedentary adults to exercise, with the findings suggesting that adults have different exercise goals. For instance, while younger adults are more likely to exercise for a benefit to their appearance, older adults are more likely to do so for their health. Her other work used these exercise goals and incorporated message framing as a technique to encourage exercise among adults. Specifically, she found that younger adults were most influenced by positive appearance messages, whereas older adults were most influenced by positive health messages. In addition, middle-aged adults were equally influenced by both appearance and health messages. Her dissertation work has turned to the role of physical and mental activities in relation to memory failures among adults, in an attempt to examine whether or not individuals with higher levels of activities display fewer memory failures.